Print your logo onto these custom printed panda eco bamboo notbooks or one of our other innovative notepads - small qty and use them in your next marketing campaign as a unique giveaway item. Personalise your panda eco bamboo notbooks or custom design notepads - small qty for your marketing campaign. 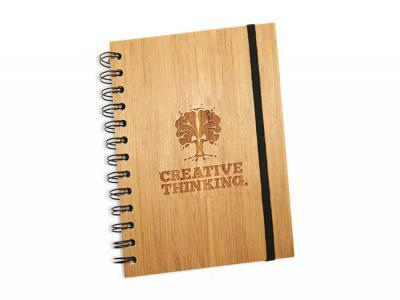 How can these unique promotional panda eco bamboo notbooks or our personalised notepads - small qty fit in with your marketing strategy and help you maximise your brand exposure? We can have your logo branded on these corporate Panda Eco Bamboo Notbooks. A setup fee of NZ$191.00 will apply to make the film.